Treatment offers an important start to recovery, but changing old behavior often takes time. Many people require an SLE after treatment to sort out priorities, change attitudes and prepare for a new and productive life. The time spent in sober living should be a time that a person’s life and that of the family begins to heal. TLC provides the proper Sober Living Environment for this transitional living process. Each house, located in the San Francisco Bay Area, operates like a clean and sober family. 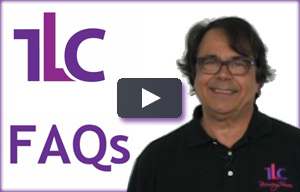 TLC is the largest Sober Living Home provider in California. Our homes are insured and have been inspected and certified. With many choices available in our network, and the ability to transfer folks in between homes, we can always find a sober home that is a good fit. All TLC homes feature free on-site laundry facilities and laundry detergent. TLC provides the proper Sober Living Environment for this transitional living process. 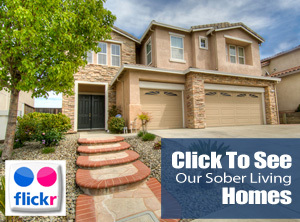 Each house, located in the San Francisco Bay Area, operates like a clean and sober family. TLC Standards help you develop personal responsibility and nurtures self-esteem which is so important to recovery. You leave TLC with a sense of self-worth and new sober friends. TLC Sober Living House Environments help you begin to function as a transformed person free from addiction. Our shared strength, experience & hope while recovering under common circumstances make this transformation a reality. We currently have over 30 TLC Sober Living Houses in the San Francisco Bay Area. Call us, Contact us or send an email. Please visit Flickr to See Images Of All TLC Clean & Sober Living Homes Click to see some of our Yelp Reviews and a short video with our CEO.